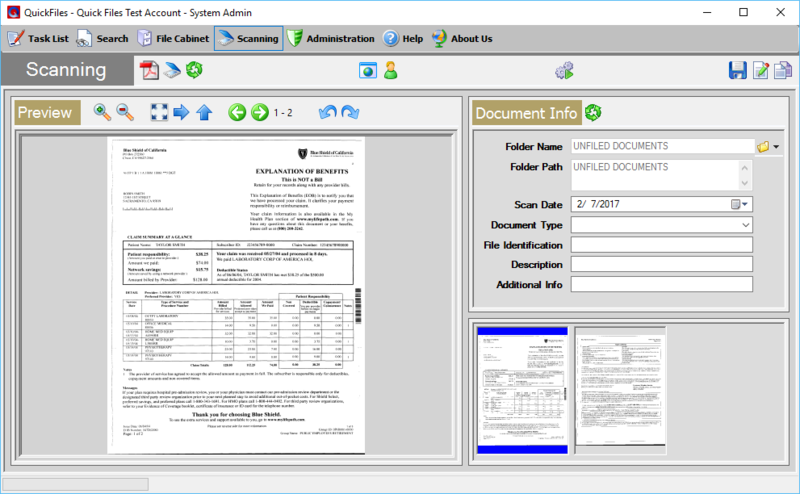 Category Archives: "Document And File Capture"
Quick Files can handle any electronic file. Anything that can be stored on your computer can be stored within the application. Quick Files has its own built in print driver. Any file that can be printed can be captured by Quick Files. Today many documents are stored in PDF format. 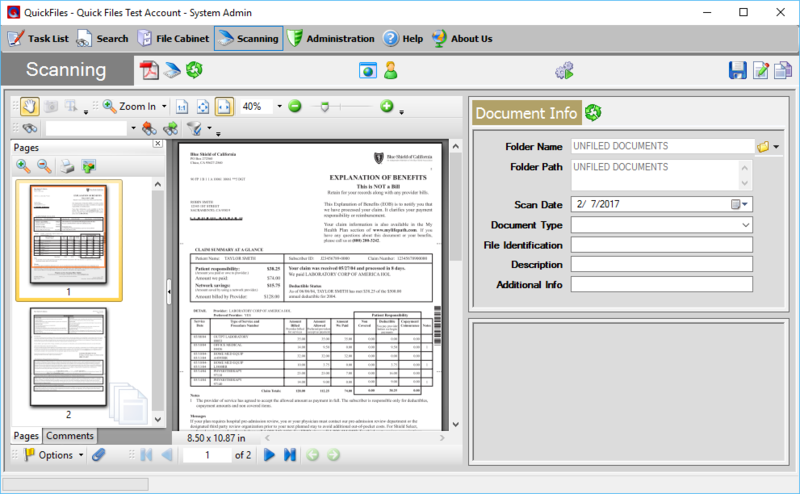 Quick Files easily captures these documents and allows the user to upload and prepare these documents for processing. 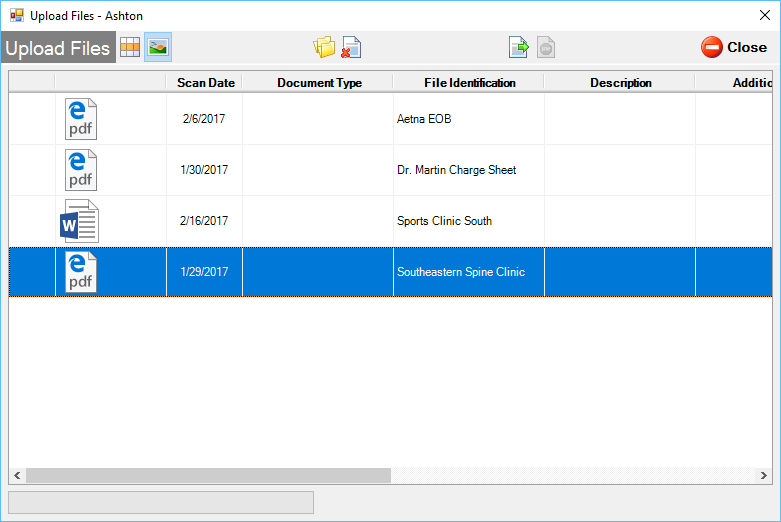 Quick Files works with any TWAIN compatible scanner to capture your medical billing files. 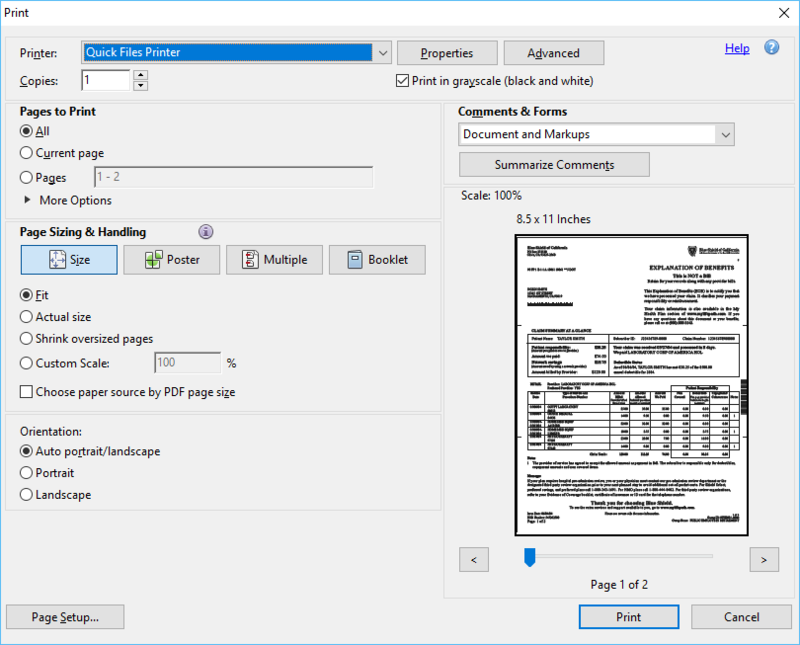 It can automatically control the scanning device to get the best image possible for converting your documents to fully text searchable PDFs.